もう12月か・・・ Work has begun on the Year End Article, and I was in for a shock when I looked over the list of series I watched earlier in the year. “It feels like I just finished that…” I thought. Time’ll slip between your fingers unless you’re keeping a close eye on it, that much is for certain. Music is perhaps our most powerful creation. Performed properly, it can invoke our full range of emotion, bring us back to bitter or sweet memories, or guide our creative inspirations, and anime, like all forms of entertainment media, can utilize music in tremendous ways. Soft emotional themes used during depressing scenes are easy yet effective, but my personal favorite is when a series like Kill la Kill or the currently airing Shakunetsu no Takkyuu Musume integrate high energy music flawlessly into their action, turning an already high intensity scene into a watershed moment of glory. Then there are anime openings and ending sequences which showcase rising or established musical talent from bands or artists such as Supercell or LiSA, opening the door for viewers to discover all kinds of great music. Wonderful things are done to intermingle the two mediums, and there’s true talent at play in fitting a series with a suitable musical score. November was busy, but I set aside some time to watch through a few backlog items. The lonesome but simple life of being a social outcast is nothing new to Hikigaya Hachiman. Proudly anti-social, he has done all he can to avoid making friends or standing out in the social strata of high school. This is until he is required to join the Volunteer Service Club, inhabited only by the elegantly solemn yet relentlessly cold Yukinoshita Yukino. Their meeting incurs a perfect storm of offhanded insults and witty retorts, but the two are nonetheless stuck with one another, and together they are bound to the Volunteer Service Club. What sorts of reluctant adventures or colorful new members might be waiting for them? Slice of life series taking place in or around a high school are as plentiful as stars in the sky at this point. It takes a great deal to stand out in the genre, and even more to leave a lasting impression. Yahare Ore’s successes ride comfortably between its strong cast of characters and the writing of the dialogue they share with one another. In a genre full of (hopefully) intentionally bland male leads, Yahari Ore’s Hikigaya quickly grew on me, thanks to his flat delivery and overtly pessimistic while entirely relatable and understandable standpoint on social circles, and he is but one of numerous characters which at first glance may seem to adhere to standard tropes, but through their interactions show that there’s more there than expected. This series doesn’t knock it out of the park altogether – there are some rough edges to its visuals here or there, and one character in particular I found more insufferable than endearing, but for a series traipsing in well-worn territory, Yahari Ore is entirely worthy of a watch. 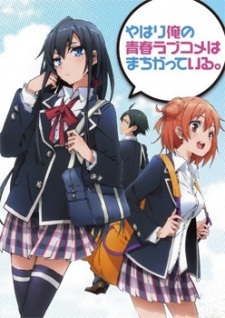 Sharp, funny dialogue and a strong cast of characters manages to hoist Yahari Ore no Seishun Love Comedy wa Machigatteiru. above its high school slice of life peers. It’s exactly what you think it will be, but offers more than you may expect. Within the world of Eos, the magic-wielding kingdom of Lucis, led by its King and protector Regis Lucis Caelum CXIII, has defended itself from the power-seeking kingdom of Niflheim for some time. Though the rampaging conquest of Niflheim has swallowed up almost all of Eos, Lucis, and at its heart, the city of Insomnia have rested under the unfaltering magic of the crystal, which King Regis endlessly channels magic from in order to protect his people. At the forefront of the conflict between Lucis and Niflheim rest the Kingsglaive, a selected force of elite soldiers who are able to wield a fraction of Lord Regis’ power, and serving within its ranks is Nyx Ulric, a man with keen combat ability and unsure hopes for a future after losing those dear to him in the past. Kingsglaive stands among an uneven history of CG Final Fantasy films, with the colossally flawed Spirits Within and the uneven Final Fantasy VII: Advent Children at its back. The video game series, being so highly regarded for its narrative and colorful characters should make as a perfect fit for the big screen, yet finding room in a feature length film to cram that narrative into has seen poor results in the past. Kingsglaive falls somewhere between the two previous outings. The narrative is largely centered around Nyx, and leads right up to the moment at which the video game starts. It has its moments, but many scenes seem to serve little purpose other than to make way for the next, and it has its share of pointless dialogue snips and overtly whimsy lines such as “My duty is my destiny”. The action on the other hand is terrific, and makes good use of the abilities from the game, as well as the types of locations and creatures found there as well. Some of it can be tough to follow due to rapid cuts between very busy scenes, but thanks to the aforementioned abilities possessed by the characters, the action is lightning fast and feels quite unique, and it all culminates in a truly awe-inspiring sequence at the end of the film. The CG can be uneven, with bit characters clearly having seen less rendering love than the main cast, and there are a few moments of uncanny valley on show, mostly with the bodily animation during action scenes that can bring you out of it a bit. Also distracting is the real world product placement, the most notable being a tricked out Audi R8 which makes an appearance in several scenes. 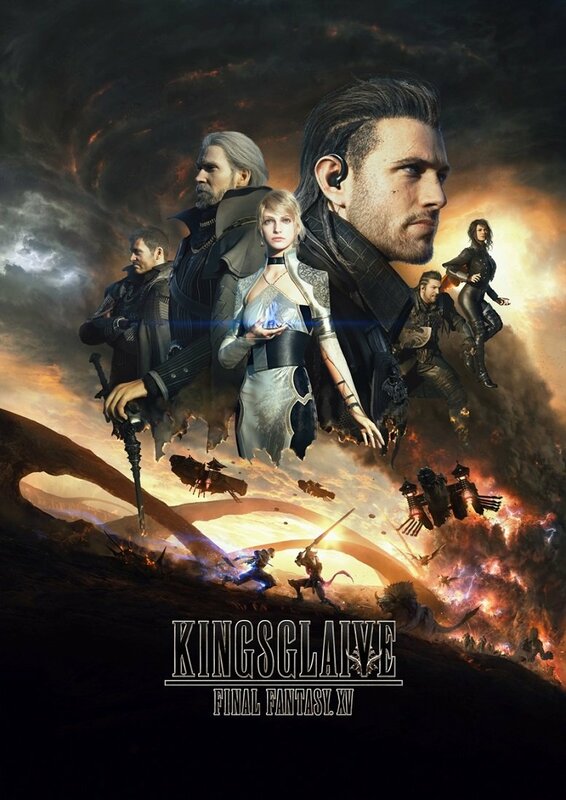 Overall though, Kingsglaive succeeds more than it falters. The narrative isn’t especially memorable, but it gets the job done, and the action is over the top, but not overdone. Kingsglaive: Final Fantasy XV doesn’t offer an especially compelling narrative on its own, but acts as a serviceable primer for the world and characters that are found in the video game. It wouldn’t call it a required viewing, but as a supplementary film to the game’s narrative, it gets the job done while providing a number of superb action scenes. One final push is all that remains of 2016 before it is out of our collective lives forever. December promises time off work and the wrapping up of the Fall anime season series, and I hope to use much of my time off to finally whittle away at Cardcaptor Sakura’s immense number of episodes. Or sleep. That sounds pretty good, too. I hope the New Year meets you all well!